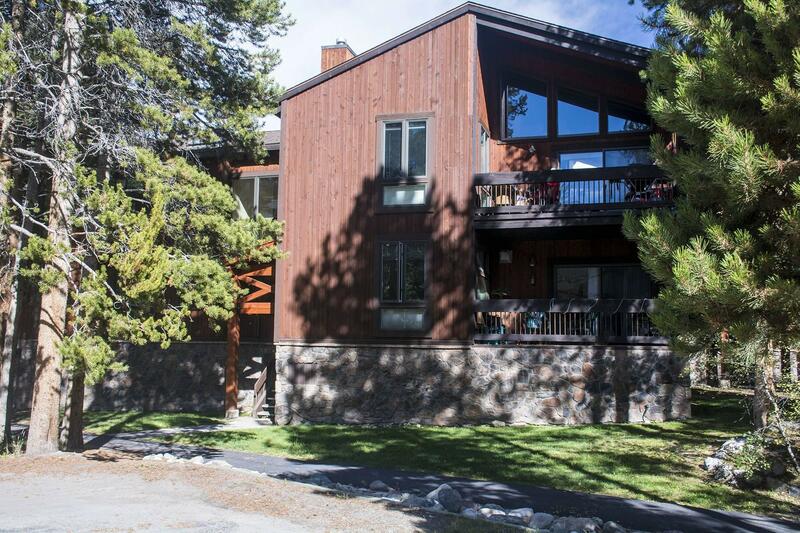 Columbine Condominiums are located at about 12 o’clock on the loop called Columbine Drive – just across the street from condos that begin the core of downtown Breckenridge. Heading off at about 11 o’clock on this small circle is the trail to the base of Peak 9 of the Breckenridge Ski Resort. From any Columbine condos for sale it’s a quick hike in summer or a short skate in the winter. The free town shuttle stops just outside the door and makes everything in Breckenridge easily accessible, including the supermarket and rec. center on the north side of town. 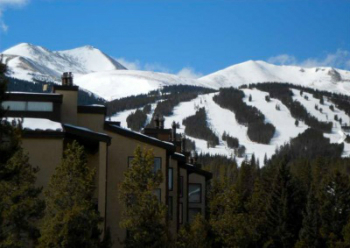 Check out the available Columbine condominium listings below, or find out more about life at this Breckenridge development. Columbine Condos are a small complex of only two-dozen units, so they enjoy the camaraderie of this condo neighborhood but are generally quiet and are surrounded by a wooden common area. The primary building material is cast concrete, so they are well insulated and little exterior maintenance has been needed. Maintained trails make it easy to ski over to the base of Peak 9, although this connection looks completely different – like a short forest hike – in the summer. All the condos on the Columbine Loop share use of the Four Seasons pool and clubhouse, which has an outdoor heated pool and several hot tubs. 757 to 1200 sq. ft. Amenities: on-site hot tubs, laundry facility, close to shared pool & hot tubs in the center of the Columbine Loop, close to Peak 9, easy walk to town, on the bus route. Located in Warriors Mark, across the Blue River from the base of Peak 9, on the inner circle of the Columbine Loop, just north of the Columbine neighborhood pool. Drive south on Main Street to last stoplight at Boreas Pass Road, turn left on Columbine, and you’ll find Columbine Condos on the left just after Snowberry Lane, at about 12 o’clock in the Columbine Loop. Turn left on Snowberry for the Columbine parking area, which is on the right next to the Columbine Condos, which are located between The Lift and Mountainwood. Do you have any questions about Columbine condos or any other Summit County neighborhood? Send us a message or call us at (970) 453-2200 to speak with a local expert!